At 150Mbps, the TL-WR700N has the wireless speed and range to power a complex set of networking applications to create a highly efficient mobile office or entertainment network in no time. Small enough to fit in the average pocket, this router is uniquely suited to providing robust wireless networking to students. The TL-WR700N supports the newest 802.11n standard, and provides backward compatibility with older 802.11b/g standards as well. With wireless speed up to 150Mbps, high bandwidth-consuming applications such as video streaming, using VoIP, or online gaming. TL-WR700N is small enough to put into your pocket and take on the road to share the Internet. When your dorm or hall only offers a wired network connection, just plug the network cable into the TL-WR700N and enter the default password to enjoy the convenience of wireless networking in your dorm room. TL-WR700N supports AP, Router, Bridge, Client, Repeater modes to enable various wireless applications, giving users a more dynamic and comprehensive wireless networking experience. Multiple operating modes also help you to extend wireless range， just plug it in within range of the primary wireless router and in a spot near those areas. 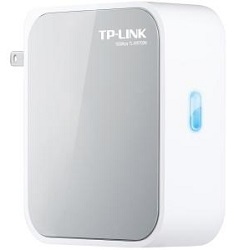 TL-WR700N provides WPA/WPA2 encryptions, which effectively and efficiently protect the wireless network.